Dr. Angie Currey, Assistant Superintendent of Special Programs, was selected as the 2018 Gersh Award Recipient. This award is presented to one new special education administrator annually by the Council of Administrators for Special Education (CASE). 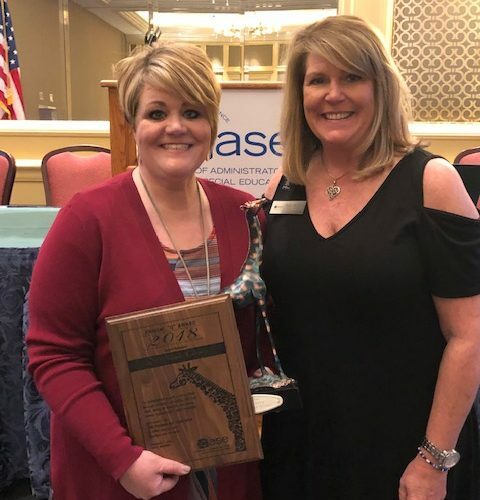 She first won the state-level award through the Missouri Council for Administrators in Special Education (MO-CASE) in 2017, then was nominated from MO-CASE for the national award in 2018. Dr. Currey was nominated by her colleagues and peers because she demonstrates outstanding special education leadership. In order to achieve this honor, a recipient must display the Gersh Values established by the organization. These values display the administrator’s commitment to their staff and the students they serve. 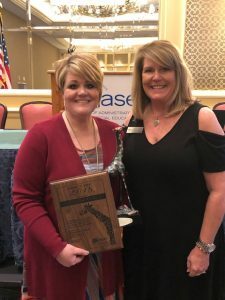 Currey was recognized for this significant achievement by her peers at the National CASE Conference in Biloxi, Mississippi. Congratulations to Dr. Currey!